Welcome to The Lady, The Elegance of Needless! A true lady has an elegance of needlessness. For her she doesn’t need anything, but she’s willing to have everything. What is The Lady, The Elegance of Needless? If you recognize the place in which you can have anything and you need nothing, the entire universe will gift you. Find out what it’s like to have the universe have your back, create your future and choose to create a different reality because of you. A lady does not have to have a judgment. She has to be willing to have a choice. Are you willing to have choice or are you looking for judgment? The gift of being a lady is that you can change anything. Ready for More? 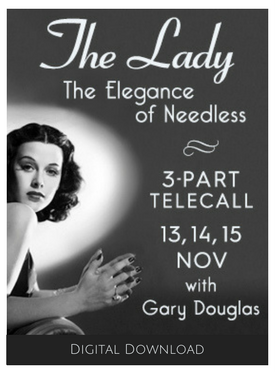 Enjoy Part 2 and Part 3 of The Lady, the Elegance of Needless!